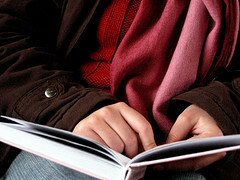 Reading is a cognitive process that has received much attention from psychologists and educators. Studies on reading have followed the dominant view in cognitive science, this is, consider the brain as a processor of information. And when we do, we have said much about the way of working of our mind. But it is true there has been a tendency to overlook another dimension related to the reading of equal importance: the emotions. The question is, then: what role do emotions have in the process of reading texts? As usual, I’m going to base the post on a work that has seemed to me of the most interesting and complete: the book of Jose A. Tellez understanding of written texts and the cognitive science: beyond the processing of the information (Dykinson, 2005). 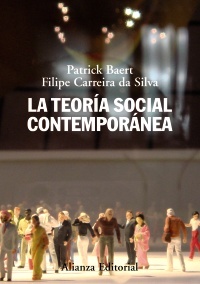 The work is not only interesting because of the panoramic view that shows us about the mind, and on the main approaches to the study of the reading, but also because the author argues for greater attention to how emotions are involved in the reading and understanding of texts. Self-efficacy refers to the beliefs a person has about their ability to learn, so that is related to the individual’s expectations about the possibility of doing different tasks. The belief in our self-efficacy can determine the choice of a task, as well as the commitment, effort and persistence before it. Put another way: when we think we can accomplish a task, we enter into it and continue till end, despite the difficulties we may find. When our perceived self-efficacy regarding the task (reading in this case) is positive, the self-assessment can be an important reinforcement, understanding by “self-assessment” the measurement of progress made in comparison to the proposed targets and effort devoted to complete the task (p. 288). And is that, as it reminds us of the cognitive therapy, the self-efficacy is not a perceived static, but you can redefine, always depending on the individual, in function of the practice and achievements progressive that you can associate to her. This type of motivation is one that is characterized primarily to novice readers, who may be aware and that your reading is not fluid enough, and at the same time have a desire, a special interest, by improving it (p. 290). As in the case of the self-efficacy, motivation to control has influence on the ability to regulate our learning process, and with the maintain the constancy, and the effort at the time (p. 292). Although cognitive psychology has been to show that it is very difficult to get someone to motivate intrinsically to perform a task (if it is even possible at all), it is true that extrinsic factors can help to achieve this goal. In terms of reading, Tellez mentions two factors: on the one hand, the difficulty of the texts (neither too easy nor too difficult: in both cases it can demotivate); on the other, the self-assessment, especially that related to the experiences of failure. Although the considerations of Téllez deal primarily with the effect of emotions on the process of reading in new readers, I think that certain points are also applicable to the readers experienced, due to the widely cited need for “continuous learning”: I think especially in the concepts of self-efficacy, self-evaluation and motivation of control and intrinsic.